I made some progress today on the 2-digit/single-card part of my memory system. Yesterday, I was wondering whether I should switch to a person-action-object (PAO) system for my 2-digit numbers, or stick with just a collection of characters and objects. I started changing the images to a PAO system but wasn’t feeling inspired about it. I decided to mark each object with a suggestion for actions depending on whether it comes before or after another image. Each object that has an ambiguous action now gets a “B” and an “A” action depending on whether it comes before or after another number. 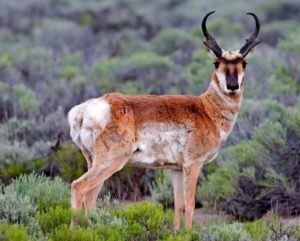 Example: the antelope’s (#21 or the 2 of diamonds) before action is to pronk on top of the following object; the after action is to be ridden on or acted on with the previous item’s action. 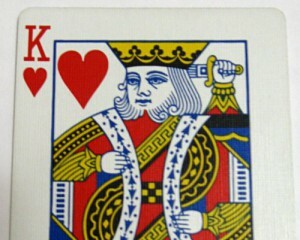 King Saul (King of Hearts) appearing right before the antelope would be trying to throw himself on the antelope’s horns. King Saul appearing right after the antelope would be getting charged by the antelope. The antelope followed by the giant emerald (3 of hearts) followed by King Saul would be the antelope butting the giant emerald, which flies through the air and hits the King. The opposite order might be the King hurling the giant emerald (the emerald’s after action is to be thrown) at the antelope. The story would be embellished a bit, but the order is unambiguous based on the actions. UPDATE: part 3 is here. 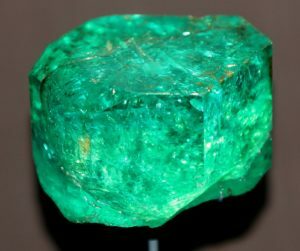 Photo of emerald, © Cliff1066 under Creative Commons License. I’ve just stubbled onto this blog and have to say that it’s really good. I was wondering if you’ve used the Dominic System at all and what your thoughts were on it? The Ben System compresses data into smaller areas, especially binary numbers and cards. It only takes 9 loci to memorize a deck of cards with the Ben System, and his binary system puts one competition row of numbers (30) into one locus. I like having a large number of images — about 2800 instead of 100. Images repeat less often when memorizing large amounts of information, and I’m also interested in noncompetitive uses of memory techniques, like increasing creativity. I think the larger “vocabulary” of images pushes my brain farther. That’s also why I didn’t make a PAO system with my 3-digit numbers. 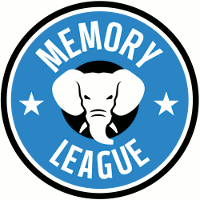 I’m also working on one other experiment with memory techniques that I’m not quite ready to write about yet, but it only works with systems similar to the one I’m using. The Dominic System is very good, and I think it was an amazing innovation. Many people also compete with a 2-digit PAO system which adds an object to the person-action of the Dominic System. If effective and efficient is what you’re looking for, why not wait to see what system Wang Feng is using. His results are staggering.